Recently I discovered an interesting site featuring an excerpt from Bertrand Russell's book of essays such as, Why I Am Not a Christian though I did not read far enough to find out his reason. But that's because the excerpt concerned Thomas Paine and his fate. The page contains a few typos one of which is Paine's birth year as '1739' rather than the '1737' we're accustomed to (see his natal horoscope, below). It needs no fashion; it is Washington. And on his heart engrave--ingratitude. As usual with Thomas Paine's writing, his opinion is clear and to the point--and based on the fact that our nation's upstanding cult figure Washington deserted Paine in his time of extreme need. 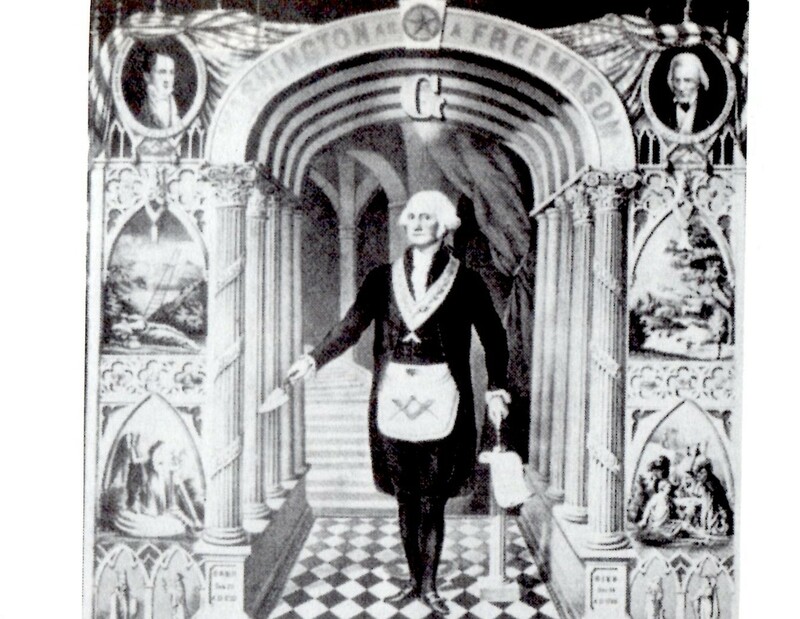 Some fellow Mason George turned out to be. For more info see: Why Did Thomas Paine Not Like George Washington? Details of Paine's unresolved birth data may be found at astro.com including his January 29, 1737 (OS) 11:30 am Thetford, England horoscope shown here though you may prefer his NS (New Style = Gregorian) chart dated February 9, 1737 (England was still on the Julian calendar in 1737). 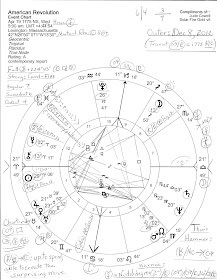 Around his natal chart are the intriguing transits of May 13, 2006 when the Sun conjoined his natal Chiron (22Taurus) and transit Chiron conjoined his natal Sun (9AQ), an acausal synchronicity suggesting a Chirotic bridge to multidimensional realms as Uranian principles are put into Saturnian form. Sun-Chiron identifies Paine as a unique seeker of The Quest who burned with purpose in his writings. The reason the double transit manifested in 2006 so far eludes me but if something turns up I will let you know--like an edition of Common Sense released in early 2006 and available on Kindle because it's a must-read for Americans once again, perhaps? Notable is Paine's generational Uranus-Neptune opposition which appears in horoscopes of his era including those of George Washington and John Adams. 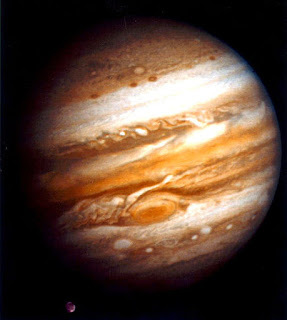 For as you know, these are the planets imprinted upon the Age of Reason, aka, the Enlightenment. The founding of America, the Utopian dream and 'New Atlantis' of Francis Bacon, Bartholomew Gosnold (Jamestown pioneer), Adam Weishaupt (founder of the Bavarian Illuminati May 1, 1776), and others, was inspired by the ideas and ideals of the Enlightenment and later blossomed on a new continent under Paine and other founders who were born during the culmination-fulfillment stage of the Uranus-Neptune 171-year cycle. Is America still plodding along that New Atlantis path of destiny? Some would say, yes, while others are not as certain. Yet we see that the New Order established in 1776 seems to be destined for replacement by a New World Order of Global Government and many infiltrators and subversives to that end have infested our nation (see this website's description under the title), its every branch and institution. And they seem to have World War III on their devilish minds and marked on their calendars. However, my suspicion is that collapse of the old order and establishment of a 'new world order' is part of a natural process--no earthly empire lasts forever--but certain puppet masters wish everything to be on their terms of complete control. In our era, Uranus and Neptune (reason + faith) met in Great Conjunction/s three times in 1993 at or about 18 Capricorn which implemented the degree's enlightening Sabian Symbol, "The Union Jack Flag Flies from a British Warship...Keynote: the protection afforded to individuals and groups by powerful institutions in charge of maintaining order. POLITICAL POWER" (Rudhyar). "Alas, this power can easily be misused under the pretext of 'law and order'." Ah yes, pretexts are totally relied upon in Politics and I doubt politicians could manage without them for then truths would have to be told and their masks would slip. Additionally, the symbol for '18Cap' highlights a warning "against using power for selfish advantage" and points toward the ruses and scams perpetrated by Britain (the City of London) and its never-really-severed alliance with the American government. For example, Uranus and Neptune in opposition identifies the era of freedom-lover Thomas Paine as a time of secret alliances, important information withheld from the people, apathy of the masses which allows leaders to undermine the people's natural freedoms, nationalism, unrest, strong economic and military developments, and countries hurled into a major world conflict a few years later (Pelletier). This generational opposition also gave Thomas Paine and his contemporaries an intrinsic understanding of national and international politics for which he personally felt a responsibility to arouse the people whenever public opinion can reverse a threatening danger which may involve religious, social, and racial issues along with the political. Such was the life and the mission of seeker Thomas Paine who died a pauper on June 8, 1809 and whose dedicated service to the Cause of Freedom I hereby honor with this post. jc. *Nicholas DeVore's Encyclopedia of Astrology. Astro-Note: the Uranus-Neptune pair also have occult associations which are not discussed in this particular post though perhaps they should be. What's New at Stars Over Washington which contains brief notes on George Washington and his Egyptian-styled, obelisk-shaped, phallic monument in DC which is reflected in the Heavens by starry Spica, The Spike. Certain other article links are included. Also recommended: The Solar Eclipses of Valley Forge 1777, Is Washington DC a 'New Rome'? Altair the Eagle says..., the Sun-Moon Personality Blends of Franklin, Washington, Paine, and Jefferson, the natal chart of George Washington with transits from 2008, A Few Illuminating Quotes on Plutocracy in America, a YouTube audio of a fellow reading Thomas Paine on The Origins of Freemasonry, and for your consideration a video titled, The Secret Agenda of High-Level Freemasonry.